Preparation of Papers: Papers should be written in the English language. The manuscripts should be strictly prepared in accordance with the instructions for authors. The instructions are the same for paper submission, for the review process, and for final versions. The instructions are meant to be taken literally for the final paper submission, to ensure high quality of the printed material. The use of Microsoft Word is recommended. Instructions for authors is available in MS Word format and in PDF format. Paper Format: The paper should be composed using the A4 paper size (210 mm x 297 mm). The left and right margins should be 19 mm, while the top and bottom margins should be 20 mm. The paper should be set in two columns with 5 mm column separation. Please, equalize the length of the columns on the last page. The full paper must not exceed SIX pages in length. Pages should be without page numbers. Paper Submission: Papers for the review process are submitted electronically on-line with the web-server interface. You should have TELFOR ID account in order to submit your paper(s). If you don’t, please sign-up by following the link: http://journal.telfor.rs/Identity/Registration.aspx. Please, don’t sign-up more than once. If you forgot your password please follow the link: http://journal.telfor.rs/Identity/ResetPassword.aspx. 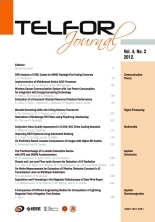 If you already have your TELFOR ID account, please log in to the online submission system by following the link: http://journal.telfor.rs/Identity/Login.aspx. After that, please follow the link Paper submission on the left side menu.